Replacement parts for 3M(TM) 28391 Electric polisher. See Owners Manual for Parts List and tool schematic. 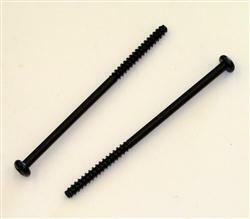 Jaco Aerospace and Industrial is your one stop resource for 3M(TM) 28391 Polisher Tapping Screw ST4X75F 30928, 2 per bag 1 bag per case and all of your 3M Products, Tapes, aerospace and industrial needs. SKU Marketplace Product Description: Replacement parts for 3M(TM) 28391 Electric polisher. See Owners Manual for Parts List and tool schematic.